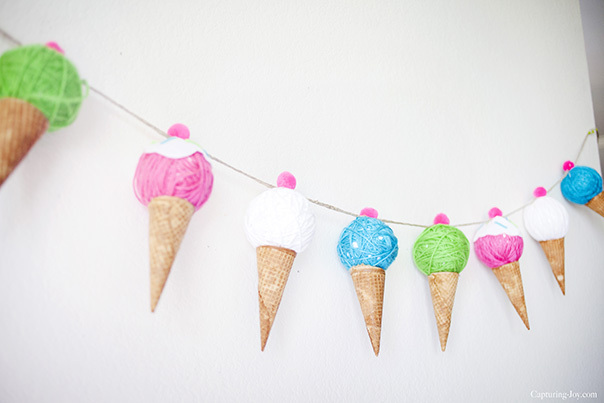 With summer right around the corner, I wanted to share a fun DIY Ice Cream Cone banner that would be great to make for any summer party. This banner is simple to put together, and a fun craft to get the kids involved in making, too. 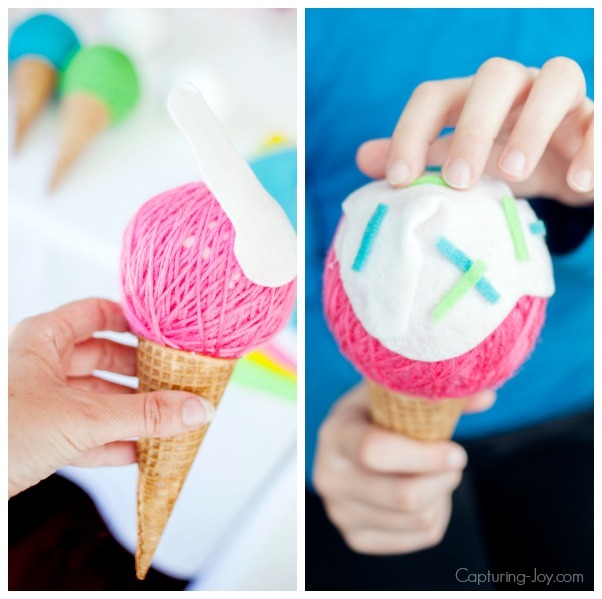 I’m Kristen Duke from Capturing Joy, sharing this tip that came straight out of my daughters ice cream birthday party, which was so colorful and fun! 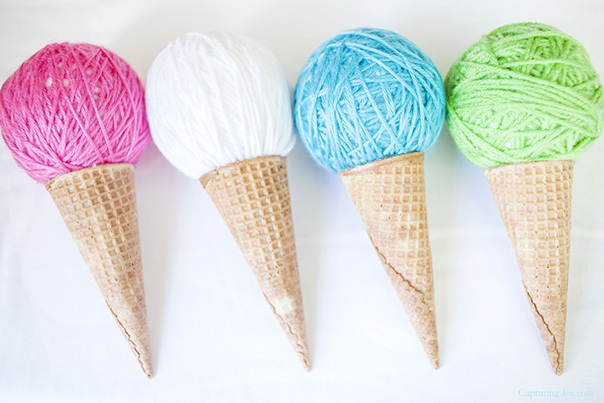 The great thing about ice cream is that it is enjoyed all year long, even when it’s cold outside! I mean, don’t we all scream for ice cream? 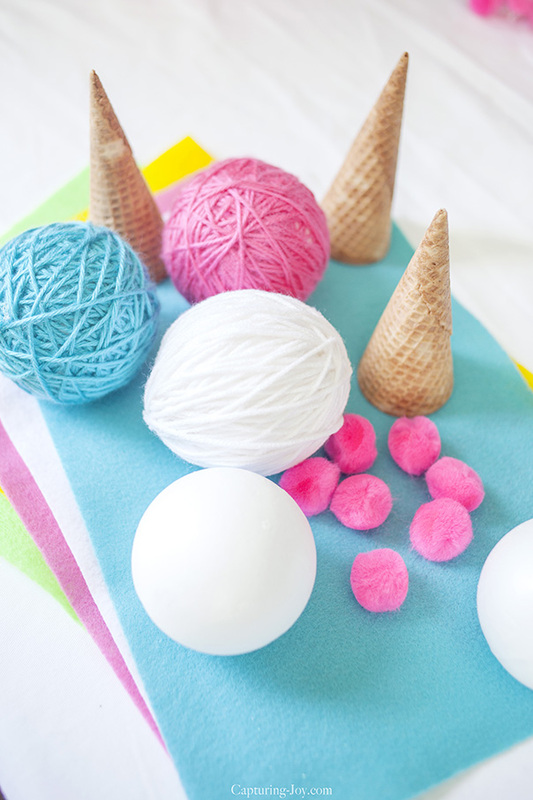 It’s a fairly simple step by step process with glueing the yarn onto the styrofoam ball, and wrapping it around and around. 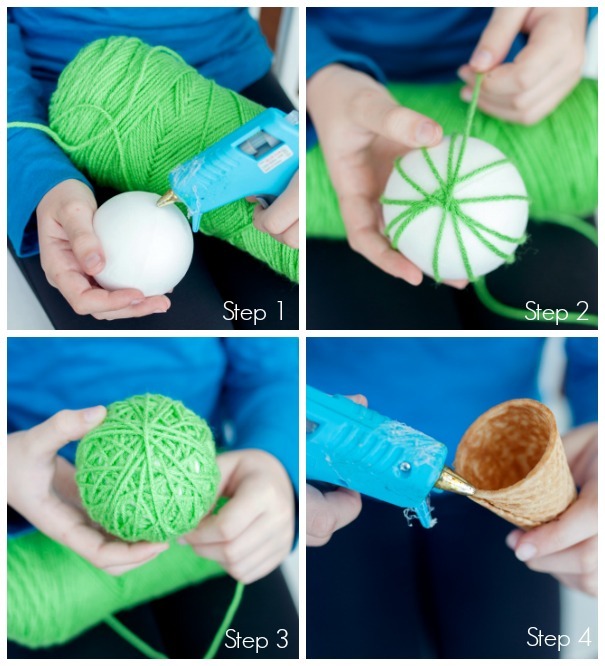 Once complete, glue the ball to the cone. Since I really wanted a pink cherry on top, I wasn’t excited about pink on pink, so I cut some white felt into a cloud-like shape, and glued it to the top to resemble some type of sauce. I cut felt slivers to look like sprinkles. I thought about doing “sauce” and sprinkles on all of the cones, but kinda liked it just on the pink to stand out and unique. Once I got to the second side, I folded the two pieces together. I meant to have it at the back of the banner, but then forgot, but it really didn’t matter in the end! 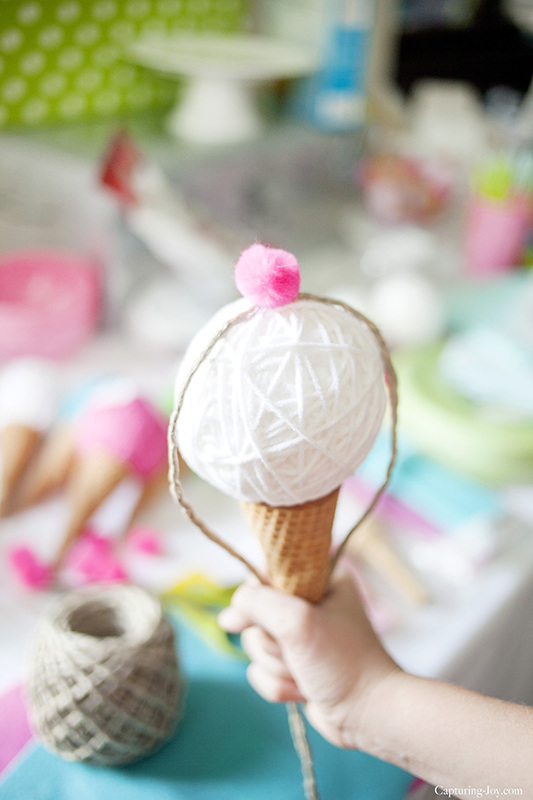 I then took the string, and glued it to the top of the cone, with hot glue. I wasn’t 100% sure this would hold very well, but I crossed my fingers, and it actually held up quite nicely! Here is the banner all strung up! I used 4 colors, and made two of each color. 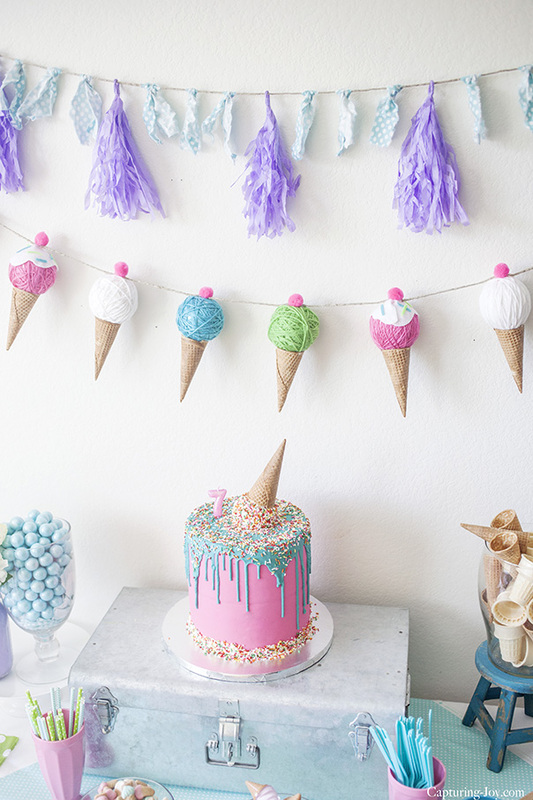 It really was a fun touch to have the real cones in the overall look of the party decorations. It was a smashing party, and also perfect for any summer gathering, too! If you’d like to see more of the party, hop on over to Capturing Joy, where I like to share tips like this to have more fun with your family, as well as photography lessons.